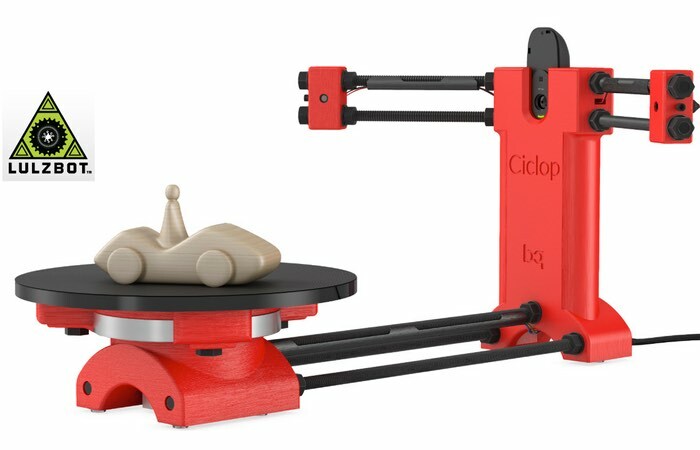 LulzBot and BQ have teamed up to market a new open source 3D scanner called Ciclop, that will soon be available to purchase priced at $400 in the US. The Ciclop is fitted with a Logitech C270 HD camera and 2 class 1 line lasers that can be adjusted to scan an object within 2-8 minutes and offers a laser scanning area of 250 mm in diameter and 205 mm in height. 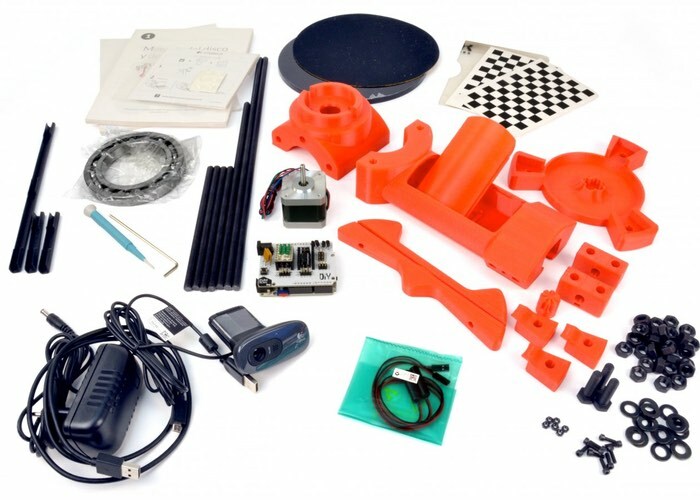 For more information on the new Ciclop open source 3D scanner jump over to the LulzBot website for details. After years of searching, we are proud to offer a Free Software, Libre Innovation, and Open Source Hardware desktop 3D scanner! Meet the Ciclop by BQ. This a developer-friendly, cutting edge product for early adopters. By purchasing, building, and sharing your Ciclop experience with others you will be directly contributing to the further advancement of Free Software, Libre Innovation, and Open Source Hardware.